The media arm of Lebanon's militant Hezbollah group said hundreds of Syrian opposition and civilians have started leaving the Lebanon-Syria border area Monday after a deal was reached for their departure. 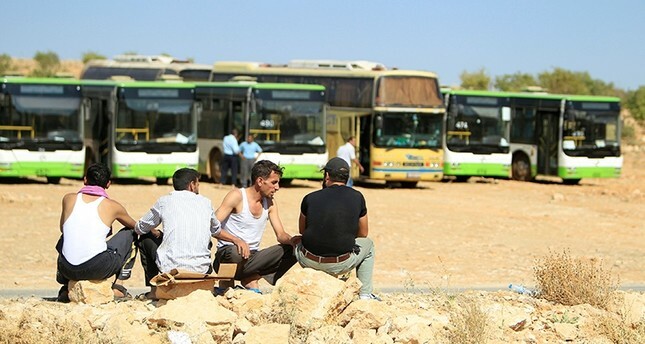 The Central Military Media said buses carrying members of the Levant People's Brigades rebel group started moving on from the badlands of the Lebanese border town of Arsal in the direction of the Syrian village of Fleeta. Some 300 opposition members from a group called Saraya Ahl al-Sham, as well as about 3,000 refugees, are leaving Lebanon under a deal that followed a Hezbollah assault on insurgent positions last month. The evacuation comes nearly two weeks after more than 7,000 Syrians, many of them al-Qaida-linked fighters and their families, left Arsal, following the offensive by Hezbollah. The Levant People's Brigades whose members did not take part in last month's battles will be heading to the Assad regime-held town of Ruhaiba, about 50 kilometers (31 miles) northeast of the Syrian capital, Damascus.